Peter Duff, seen here competing in the WA 6 Inch Trail Marathon, claimed first place in his first extreme ultra this month at Lark Hill. Image – Supplied (Dennis Tan/Paparazzi on the Run). Officially registering for a race that is more than the usual 42.2kms marathon distance is not something that crosses the minds of most people, but ultra runners (well, runners in general) are not ‘most people’, and every year it appears the sport is gaining popularity with runners setting their sights on being a part of the elite club. Father of three Peter Duff from Hammond Park (WA) was just recently ‘inducted’ into the exclusive group when he targeted the March 5 Lark Hill Dusk to Dawn Ultra in Port Kennedy (WA). The seasoned runner had decided only six weeks prior to the event that he would enter the 100kms category and subsequently won first place out of a field of 10 participants, finishing in a time of 9:27:27. 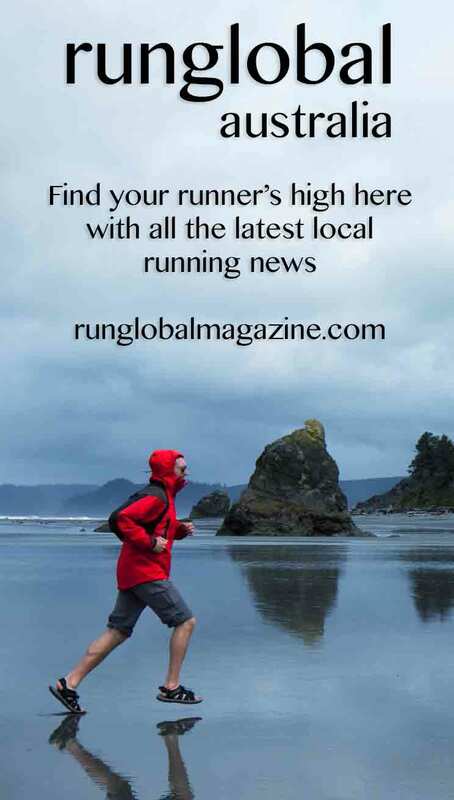 Duff, 37, went into Lark Hill not truly expecting to win, and no doubt there were some dark moments he had encountered along the way, but he explained to Runglobal that the physical aspects weren’t what worried him – it was the mental and emotional strain he felt the most challenging. He said he was accustomed to doing marathons only so had to really tweak his training and overall preparation. “I’m used to doing the marathon distances, and it was only in December (2015) that I did my first ultra, the 47kms at 6 Inch,” he said. “However going from 47kms to 100kms is a massive leap, but I decided to take the plunge. Duff went on to increase his training regimen and straight away got onto as many online platforms as possible, asking as many questions as he could to any ultra runner who would answer – including the realities of when he should expect to walk, and how long he could expect to complete it in. In marathon training, Duff would normally aim to hit at least one run every week to about 35 or 36kms, but for Lark Hill he targeted times rather than distances. “It was more about putting time on my feet than anything else, so I aimed for four hour runs,” he explained. But with all the physical training that goes with ultra running, nothing could prepare Duff for the mental challenges and internal fighting he faced while out on the compact limestone at Lark Hill. “Leading up to it all, I didn’t try to think about it – I’ve got three kids under the age of six, a wife and work so it hadn’t gone through my mind how I would tackle it,” he said. “On the night I definitely started to feel the nerves, but I had to just accept that it would be a painful night and that I’d done everything I could in training. “You can definitely be physically ready for something like this, but to play the mental game out there is a whole different story. Quite early on, I passed my friend Chris Hoy Poy, I think at around the 40kms mark, and I slowed down and jogged with him, saying I wasn’t sure if I would be able to finish. “He encouraged me to keep going, even though I wasn’t feeling the greatest, but then at 55kms I found out I was leading – it was funny because I was sort of disappointed I couldn’t pull out at that stage (laughs); I was almost angry I was leading. “From 70kms on I went through a few more bad patches, wondering whether to stop or not, and then I got offered to be paced by a wonderful woman named Pam Mac – she was amazing, she really kept me going. Duff rewarded himself with a humbling week off, managing only to walk one kilometre with his dog, and spending extra quality time with his children and wife Lynsey. His one piece of advice to anyone wanting to do to an extreme ultra would be to constantly think of the great achievements you have already attained. “Doing a marathon in itself is a great achievement as it is,” he said. “To do 42.2kms and do it fast is amazing, but for anyone wanting to go that one bit further, just put in the training, put in the hard yards, the preparation and you will get there.